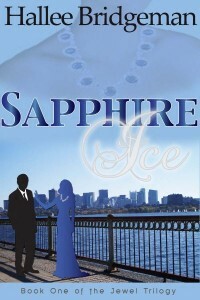 One year ago today, I released my first book, Sapphire Ice, Book 1 of the Jewel Trilogy. Since then, I’ve released three more fiction books, compiled an anthology, and released a cookbook. From a business perspective, I feel like this year has taught me that I have set out on a successful venture. I have made sound decisions that will continue to achieve growth. Every book did well when it was released, and I was pleased with the fact that every day, I sold something. But as I learned the business and studied the market and success/failure stories of other independently published authors, I made the novella, Greater Than Rubies, free — forever free, not just a weekend promotion free. As I write this, in the last 7 weeks alone, I’ve given away about 70,000 copies of Greater Than Rubies. And after reading the free novella and getting to know me, thousands of readers decide to purchase the entire series. From the point of view of ministry, publishing my books has touched many, many lives. The stories of realistically portrayed and very flawed human characters struggling with decisions, actions, and consequences who find peace and redemption in God’s love continue to inspire and uplift people all over the world. It has been an amazing learning process and an incredible experience. I wish I could share with you the notes and letters I receive from people who have read my books, and how much encouragement and support I receive. I’m not stopping with the Jewel Series and a gravy cookbook, by any means. In the coming weeks, I’ll publish two more whole food/real food cookbooks. My next major fiction releases of novel length works is entitled the Suspense in Song Series, and the premier novel in that series, A Melody for James, is due to come out sometime in May if all goes well. We are “back to the drawing board” on the cover art for these books so expect a big “reveal” soon. Still in development are the stories of Carol, Aria, and Harmony. Like the Jewels, these stories will all have a unifying theme, in this case it is music, they will all be love stories, they will all center around some element of faith, and they will share events and characters within a contemporary setting. Unlike the Jewels, elements of mystery and suspense play a much more prominent role than romance. The most exciting news is that this year, I am also going to introduce a new series, something that is near and dear to my heart. If you know anything about me then you know that I am fascinated with the era surrounding World War II. 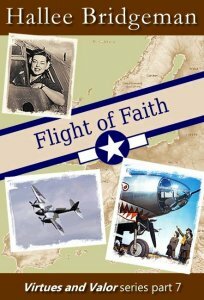 This year, I am publishing a series of novellas about women who serve the Allied cause during the second World War. It is called The Virtues and Valor Series. The first set of novellas will tell the stories of secret agents whose code names are: Temperance, Mercy, Charity, Prudence, Hope, Grace, and Faith. All of these are all in different stages of development — some are waiting final edits, some need final cover art, some are just getting started, and some are ready for a publication date to be set. All of them are going to be really, really fun to share with the world. I’m just getting started, and am so excited to see what God has in store for me for this coming year! This entry was posted in Life, Novels and tagged a melody for james, business side of writing, ministry, suspense in song series, upcoming releases, virtues and valor series, writing. Bookmark the permalink. 2 Responses to What A Year! You have accomplished soooo much. Congratulations!!! I’m so proud of you, friend. Thank you so much, Teresa. You have been such an encouragement and inspiration for me this year!